We are in an alternative 1806 with the same king (George III, just as mad), the same politicians; the Napoleonic War; Byron; pedantic, provincial, learned societies; gentlemen living on their estates, and (mostly) the same back history. But there is such a thing as magic and, furthermore, northern England has been under supernatural rule for centuries. Hanoverian hegemony over the territories north of the Humber is theoretically a stewardship pending this entity’s return. The church exists as a social institution, but not as a religious one. 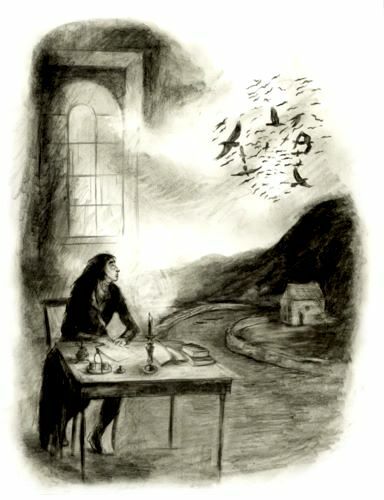 For a couple of centuries, magic has been purely academic; there have been no successful spell-casters. 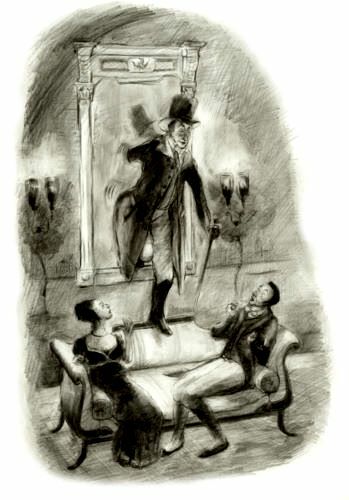 But first one, then another, magician arises: a pedant called Mr Norrell, then a country gentleman called Mr Strange. A partnership arises between these two magicians, but it is an uneasy one. Norrell is conservative, secretive, and fearful, whereas Strange is innovative and attracted to the most dangerous, wildest kind of magic. His interest in the shadowy figure of the Raven King becomes more than academic; this quest puts at peril all he holds dear, and especially the woman he loves. The Raven King, John Uskglass, moving beneath and beside the early 19th century, is attempting to set upon the throne of England a king to rival the current occupant, the befuddled George III. 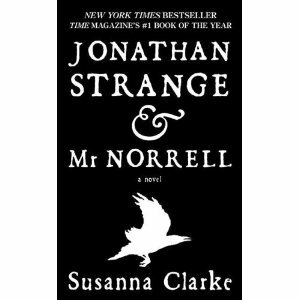 In order to preserve their world, and save his wife, Strange must unite with Norrell and seek to defeat the most powerful magician of all. ‘Can a magician kill a man by magic?’ Lord Wellington asked Strange. Strange frowned. He seemed to dislike the question. ‘I suppose a magician might,’ he admitted, ‘but a gentleman never would.’ Lord Wellington nodded as if this was just as he would have expected. Sophisticated, witty, and ingeniously convincing, Susanna Clarke’s magisterial novel weaves magic into a flawlessly detailed vision of historical England. 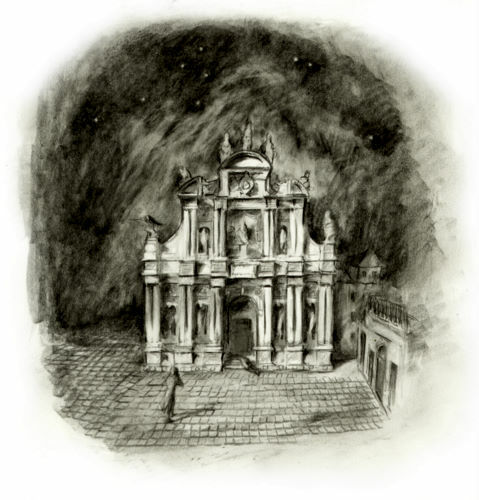 Clarke’s fantasy is more akin to Laurence Norfolk, Umberto Eco or a slightly touched Dickens, than a Tolkien or Peake, but it is the equal of any of those august names. Perhaps it appeals as much to the historian as to a fantasy-lover, but the humour and sheer skill of the writing must appeal to all lovers of great literature. The leisurely pace of the novel is more than made up for by the astonishingly imaginative footnotes, which are folktales, anecdotes and mini-essays that enthrall the reader as well as inform the plot. I have always had a soft spot for the epic, the imaginative, and the nostalgic glance into the past. I have more than a soft spot for this book; it contains all these things and more, and if one is brave enough to open ignore the thick spine and heavy cover, the journey that awaits you is worth every second.